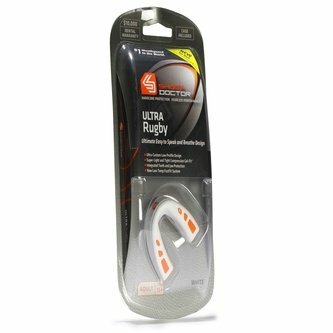 Protection that doesn't get in the way of performance, the Shock Doctor Ultra Rugby Mouthguard is light and tight for a custom fit. 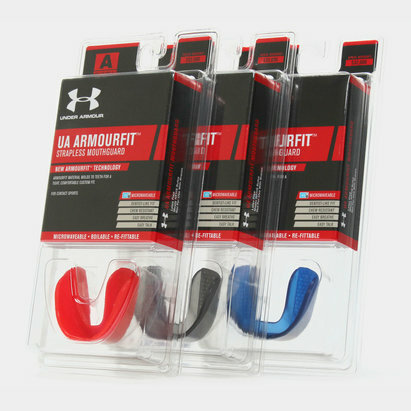 Designed to fit easily and with no more need for boiling, the exclusive Gel-Fit Liner Technology gives you an essential layer for cushion and a super-tight fit to keep the mouthguard securely in place at all times. Everyone has different shaped teeth and so the Form-Fit Chassis also fits your natural dimensions for added comfort. It's no use being protected on the pitch if you can't communicate with your team-mates and so Shock Doctor's Bio-Fit design allows ease of speaking as well as breathing. A white and orange design to the mouthguard makes for a colourful presence and to help look after it there's also a case included. 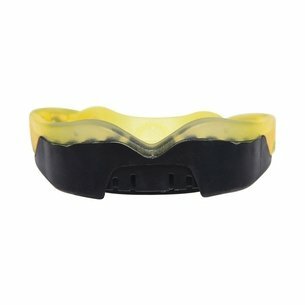 This mouthguard has been designed for players aged 11+.